From top to bottom this album moves so quickly and so precisely that it’s amazing to get through. It’s everything you expect from High On Fire, but seems to be much more ferocious and Matt Pike really outdoes himself vocally in what seems to be a much more focused and precise album vocally. While I do think there are two tracks that slow it down, ‘Electric Messiah’ is absolutely, furiously relentless with tracks like ‘Freebooter’ and ‘Spewn From The Earth’ they once again remind us why High On Fire are the kings of doom thrash. 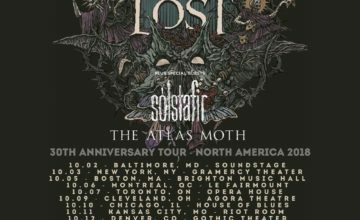 There was a time where you wouldn’t see High on Fire tour at all or only in very short segments, so this album matched with an upcoming tour with Municipal Waste and Toxic Holocaust should hopefully put them in the forefront and in front of a lot of fans that may have never seen them live or understand how heavy and fast they truly are, so I for one am looking forward to that again. As a side note, I will say that while I don’t think this is their best album for me in particular, it is definitely up there and it is astonishing to me how over the last several albums they are feeling more and more like the second coming of Motorhead. While I feel this may be an old discussion, or at least something that’s been mentioned before, it’s not something I have read or seen mentioned in the past so I felt it necessary to do so. Either way, Do yourself a favor and get out there and pick this album up, stream it, do what you do, just get it in your ears and then go see them live! 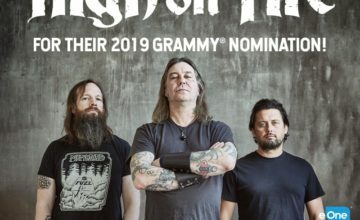 High On Fire Nominated For A Grammy!